Why He’s Top 40: He bet on his own abilities and built a successful company from the ground up. Terry Whittingham’s first job in the construction industry was cleaning new homes. He was only 13 years old at the time, but sweeping floors gave Whittingham a sense of life as a labourer. When he graduated high school at the age of 16 – he skipped a grade – he wasn’t sure what he wanted to do, but he knew he didn’t want to be building or lifting things. Whittingham liked the sense of pride that came with finishing a project, and he soon realized that he could get that same feeling overseeing construction projects from an office. 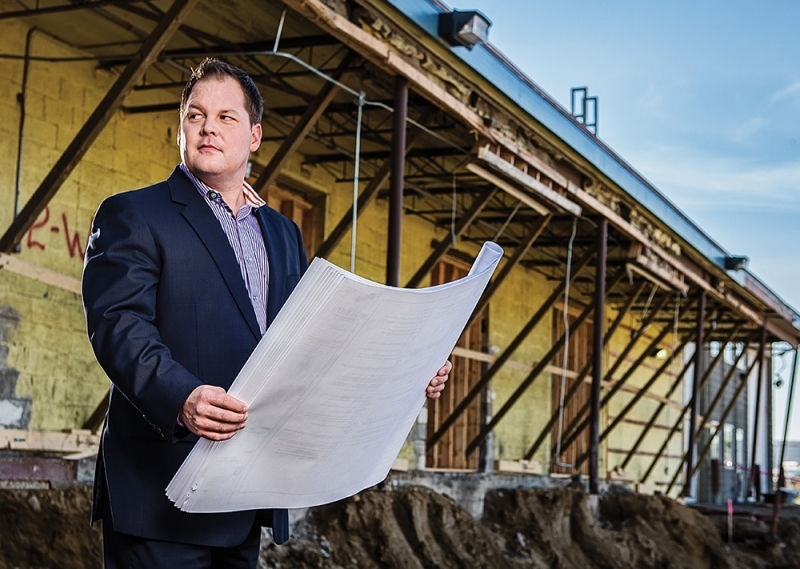 Denali merged with Keller Construction in October 2011, putting Whittingham at the helm of a construction company with two locations – one in Edmonton and one in Calgary – and approximately 110 employees. While most of its projects are based in Alberta, its largest project to date is the construction of a $72-million dollar perishables food distribution centre in Surrey, B.C. Projects closer to home include the Opposing Force Facility in Wainwright, the Mayfair Tea House at the Mayfair Golf Club and a CML healthcare clinic in Sherwood Park.